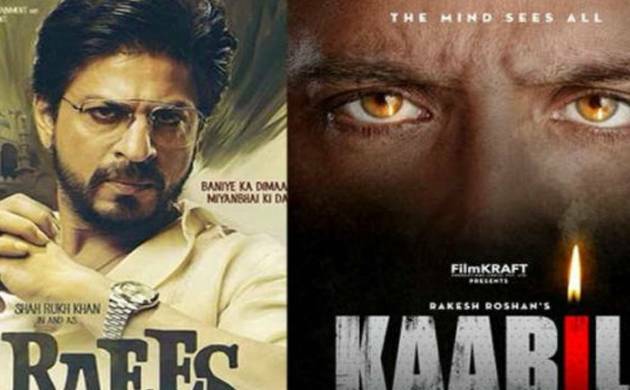 Shahrukh Khan starrer 'Raees' and Hrithik Roshan starrer 'Kaabil' have released on Wednesday. Shah Rukh Khan sent his best wishes to Hrithik Roshan for the release of "Kaabil", apart froms wishing that they could have avoided the clash of their films at the box office. Shahrukh’s ‘Raees’ and Hrithik Roshan starrer ‘Kaabil’ have hit the theatres on Wednesday. "@iHrithik wish could have avoided overlap of releases. That said... My love to you and @yamigautam dad and @_SanjayGupta. Kaabil wil be awesome," SRK tweeted. Earlier in an interview with PTI, Hrithik, 43, said that his producer father, Rakesh Roshan, is "hurt" with the way things have turned out between them and Shah Rukh.